What is an Angular Limb Deformity (ALD)? An angular or rotational limb deformity is a pathological abnormality in the spatial alignment of any limb. The consequences of ALD are functional lameness as a result of abnormal posture, and painful lameness as a result of joint incongruity. What are the causes of Angular Limb Deformity? The most common cause of angular limb deformity is asynchronous growth of a pair of bones (bones sitting side-by-side), whereby one bone stops growing prematurely and acts as a bowstring, causing the paired bone (which is still growing) to bend and twist. Some canine breeds e.g. 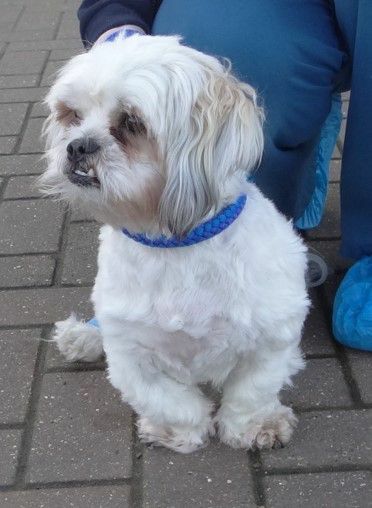 Bulldogs, Shih Tzu and Lhaso Apso have a tendency towards this problem as part of their intended conformation, and have been selectively bred with the intention of producing pronounced angular limb deformities. At some stage, these deformities become excessive and produce functional lameness and pain. Other dogs develop ALD because they have sustained traumatic injuries at a young age. If these injuries affect one of a pair of actively growing bones, premature cessation of growth can occur, resulting in ALD. How do I know if my dog has an ALD? 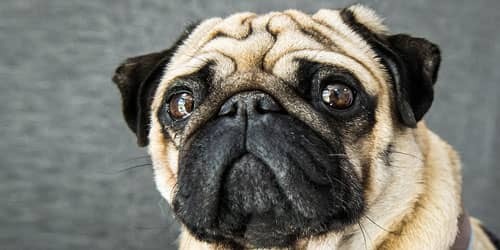 If you own a dog from a breed that is expected to have short, bowed limbs, recognizing that there is a real problem can be difficult. Regular consultations with your veterinary surgeon during puppyhood can help with early recognition of any problems. 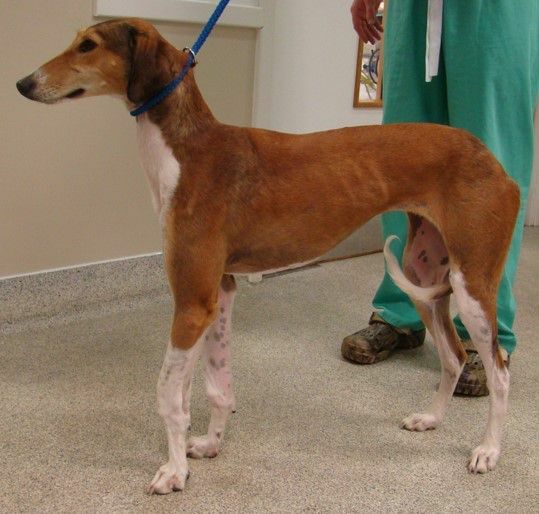 For these breeds, limping on one or both fore limbs is the commonest sign of a problem. Deformities can also affect the hind limbs, but this is less common, with the exception of Dachshunds who have a tendency towards pathological deformities in the fore and hind limbs. If you have a young puppy who is not from a breed where a bowlegged posture is expected, any signs of a visible limb deformity should be considered significant, and consultation with a specialist orthopaedic surgeon should be sought as early as possible. ALD is one of the most complex orthopaedic problems affecting dogs. ADL is typically diagnosed following a multimodal evaluation process. During your initial appointment at Fitzpatrick Referrals your dog will be examination by one of our orthopaedic clinicians to determine the extent of the deformity and the amount of discomfort it causes your dog. Following this your dog will most likely be admitted to the hospital to allow radiographs of the affected limb / limbs and contralateral limb for comparison under sedation or general anaesthesia. 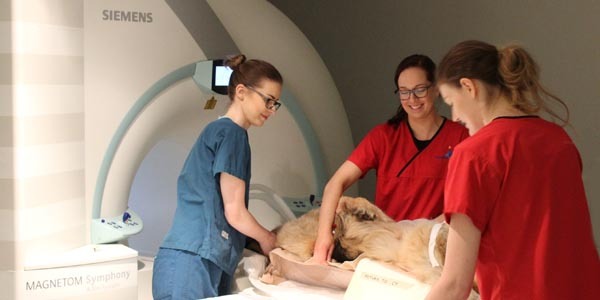 Your dog will also require computed tomography (CT) which is an advanced diagnostic imaging technique performed by our advanced diagnostic imaging team. The CT images provide the opportunity for the orthopaedics surgeon to map and build a 3D image of your dogs limb allowing them to plan the most appropriate surgical correction plan. 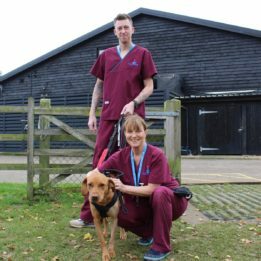 Your dog will receive one-to-one nursing care throughout the process by one of our nurses from the prep nursing team who are all highly trained and experienced in anaesthesia and sedation. Following diagnostic imaging your dog may have surgery immediately or depending on the complexity of surgical correction required, will be scheduled accordingly. What is the best treatment for ALD? Alleviation of pain – This is achieved by prompt restoration of normal joint congruity. Usually, the short bone that is acting as a bowstring is cut near the affected joint to allow the bone to spring back into a more appropriate position. Correction of any pre-existing angular and rotational malalignment – This is achieved by cutting the deformed bones and realigning them, so that the adjacent joints are perfectly spatially aligned. 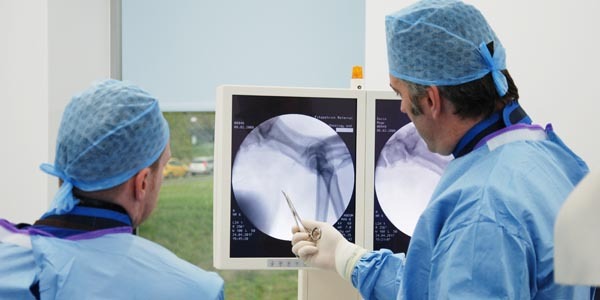 The bones are fixed in the new position using internal fixation with plates-and-screws or external skeletal fixation with a sophisticated external framework. 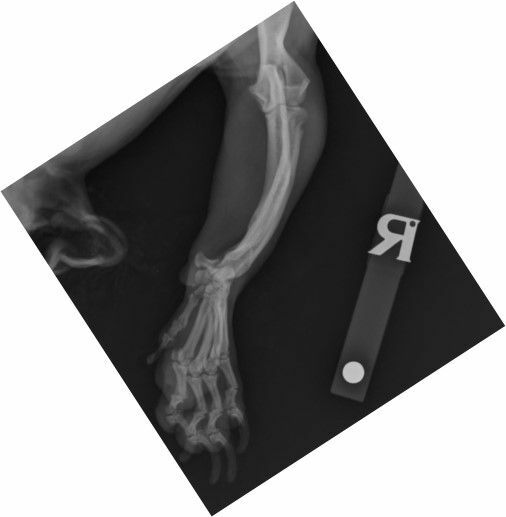 Prevention of further deformities with continued growth of the bones – In some very young animals with significant remaining growth potential, segments of bone must be removed to prevent the bowstring effect from recurring after normal alignment has been restored. Treatment of limb shortening – In some dogs, premature cessation of growth affects both bones in a pair. 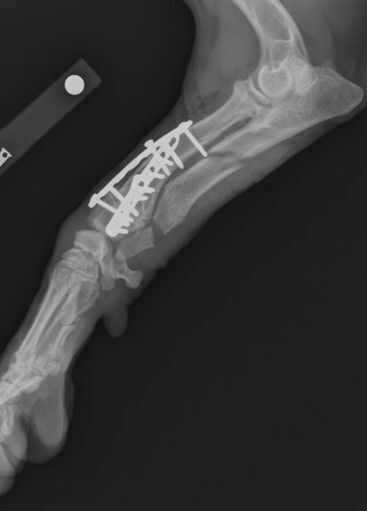 In these dogs, spatial realignment is performed using an external frame that facilitates daily adjustment to allow growth of the limb over several weeks following surgery. What is the prognosis after surgical treatment? 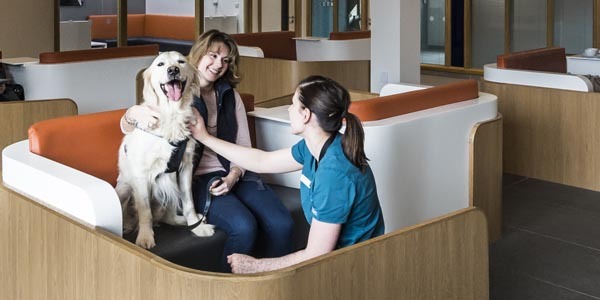 At Fitzpatrick referrals, we have pioneered recent research into the subject of ALD. We have developed highly sophisticated systems of mapping complex deformities. These systems allow us to accurately correct even the most severe deformities. Through these systems, we have achieved an excellent success rate for the management of these difficult problems.